When I assess what has brought about the most change and will continue to bring about the most change in names sourcing and Internet recruiting, I’d say it’s the staggering growth in the creation of new tools that expand the reach of communication and brand management. In essence, the sourcing toolkit has expanded greatly and the subsequent reach provided helps to increase brand awareness to passive and active candidates. Yet the increase in the number of tools doesn’t necessarily equate to an increase in efficiency in getting your message to the right people and helping to cut down on your sourcing time. It’s one thing to have a tool and it’s another to learn how to use the tool properly. Hence, the ability to effectively increase the reach of your messages, and to control and expand your firms’ brand, will equal the knowledge of how to use these tools. For this reason, I’d say that for recruiting firms to survive and thrive in 2011 & beyond, it will be an absolute necessity that the names sourcer / researcher branch out beyond the traditional role, embrace the new tools of communication, and learn how to effectively use them to create and maintain a firm’s web brand presence. This has become clear to me, not only in my current role, but reflecting on past positions, and relates especially to non-corporate, third party recruiting firms. What is Included in a Web Brand Presence? In each of the firms I’ve been at, there simply hasn’t been anyone with the time, inclination, or personality to initiate and (most importantly) continue these efforts. The names sourcer / researcher typically is an individual that has the personality that leads to the necessary motivation and patience to develop and grow this key part of the firm. 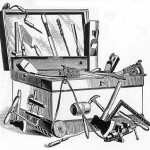 New tools come and go and it takes serious patience to take the time to learn about each and to then determine which tools are worth investing time in. As such, these additional responsibilities cannot become secondary, but instead will become part of the names sourcer’s professional duties. Sourcing for the right people and delivering the right messages to them becomes the brand management function. It’s not enough to simply set up some profiles here and there and then leave them at that. They are not organic and they will not grow by themselves. Individuals must fully dedicate themselves to becoming an expert in communication via these means and commit to continual education, training, and development. The search engine algorithms of the future demand this new type of professional so that the recruiting firm will survive and grow. It’s quite likely that the developing social web will become fully integrated into the algorithms of the major search engines and will therefore become part of the official ranking system for web properties. The major engines have already implemented their own form of social search and do show results from Facebook and Twitter within the organic and paid listings. With time, these will grow in importance in relation to what is returned when a user performs a query. As such, getting your social web presence active, and then working to grow it, will likely pay off in increased rankings, not only when posting jobs, but also when getting the attention of the passive job seeker. The more users who “like” or retweet (or whatever comes next) your postings, pages, or blogs, the more attention you’ll get from the engines. And, of course, this will also increase the viral marketing effect in that your postings will reach more people over time via sharing in your growing network. A firm lucky enough to have a researcher or names sourcer on staff should look seriously at having this individual create and grow the firms’ web presence by having them find, understand, and effectively use the growing list of web-based communication tools. Should the firm not see an internal long-term role for the sourcer and be unable to commit to maintaining and growing the firm’s web presence if that individual were to leave, then at the very least they should encourage the individual to use some of the tools in their sourcing and research activities while there. Though this will not lead to sustained long-term benefit regarding brand awareness, it will help to expand the reach of their messages for current sourcing initiatives and may provide some benefit for rankings in the search engines. Regardless, though, of what a firm decides , 2011 will bring more communication tools that can lead to serious long-term benefits for recruiting firms to expand their message and brand in the mind of their target groups. Why wait when facing the inevitable? Justin Sivey has been in the recruiting and name sourcing world since 2003. Prior to that he worked in a variety of library and information settings, ranging from a large public library consortium, to a specialized, member-based library focused on business and human resources information. His recruiting and name sourcing experience spans numerous industries and professions. Currently, he manages research and data integrity at an executive recruiting and search firm specializing in placing managers and engineers in manufacturing, primary metals, secondary metals, aluminum, steel, ferrous, non-ferrous, minerals, engineering, mining, cement, aggregates, and chemical processing. Prior, he sourced professionals in strategic sourcing, procurement, supply chain, and logistics. You can contact him via his blog.